I&apos;m really excited to share this chapter with you! The next update is Monday. 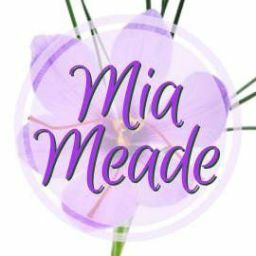 If you&apos;re looking for something to read until then, check out my other Teen Werewolf Romance story! It has a shirtless guy on the cover, so it&apos;s pretty easy to find. This chapter is dedicated to vatnievelyn16. 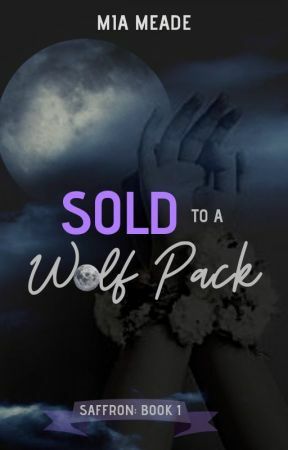 Thanks for reading Sold to a Wolf Pack! And for liking pizza! "Logan, can I ask you something?" Saf leans toward me in the booth. "Anything." I shift forward in my seat too. Saf looks so serious that when she starts to speak, I actually hold my breath... and let it back out since Lee chooses that exact moment  to show up with our Sodas. She sets them down in front of us, probably realizes she interrupted something, and rushes back to the counter. When she&apos;s finally gone, I turn to face Saffron. "What is it?" I ask. "Nothing," Saf whispers, staring down at her hands. "It&apos;s stupid." "Whatever it is, you can tell me. I promise." "It&apos;s just..." Saf looks at me, hesitates, and then looks away, "never mind. Forget I said anything." I wait for her to change her mind again and tell me what&apos;s bothering her, but she doesn&apos;t. For a few minutes, the two of us sit quietly sipping on our sodas, and my mind begins to race. What just happened to my happy, carefree mate? Does she not want to be here? Does she wish she was still in the cafeteria with Amaryllis, reading a book or whatever it is Omegas do? Was she going to tell me that she wants to leave? "Saf, do you..." I lean across the table, so our fingers almost touch. My heart starts to race, but I can&apos;t seem to force the words out. I&apos;m afraid of her answer, afraid I won&apos;t like it. I almost change my mine, like she just did, but I have to know. "Do you like it here?" "Here? You mean at Joe&apos;s Pizza? Yeah, it&apos;s awesome." She grins, her happy, carefree mood back. "It&apos;s so awesome that you got to work here." "No, I mean..." I hesitate, "here, in Mapleton? With our pack?" "Oh, um..." Saf&apos;s happy grin disappears and I feel a sharp tug in the vicinity of my heart. "You hate it here, don&apos;t you?" I whisper. Saf&apos;s a Rogue and an Omega. She must hate pack life. "I don&apos;t hate it here, Logan... I just..." Saf sighs and stares down at the menu. Her gaze drifts to the pizza we named, You&apos;re Grounded, but she doesn&apos;t even crack a smile. "Home?" Saf looks up at me in surprise. "To your old life? With your dad?" "What? No," Saf responds a bit too loudly, and a few people turn to look at us. My mate doesn&apos;t even notice. "I never want to go back there," she insists. "Ever." "I don&apos;t have a home anymore." Saf lowers her voice, so the other diners won&apos;t overhear. "I thought I did, but I don&apos;t. My dad sold me... he actually sold me. If I ever see him again, I swear..."